The Cricket World Cup is about to start. 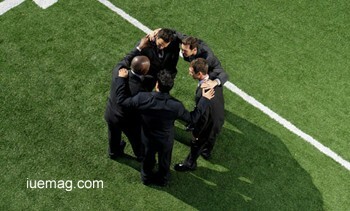 Every team is preparing its strategies and moves for the game. However, the real principles for winning the game remain to be discovered and analysed. Why some teams are able to outperform? Why some teams are able to withstand stress and pressure? Every team tries to put in the best efforts, but only a few are able to make it. When a relatively poor team won an important national level trophy through fierce competition, it was a matter of surprise for many but a matter of study for me. While others attributed it to chance factor, I considered it a planned and a well organised initiative that must be studied. In a curiosity, I asked the team manager, who had played a silent but important role in this achievement. The answers are something to be shared with everyone. The thoughtprocess in the mind of a player decides the fate of the game, and therefore , ensuring a stress free and focused approach to game is critical to success of any team. Let’s wish that every team is able to put in the best efforts and is able to keep itself above the narrow issues, which usually surface in such tournaments.